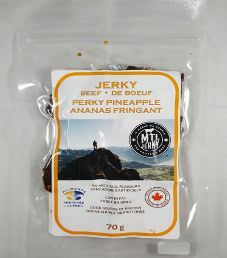 The first review for MTL Jerky will be on a 2.5 ounce/70 gram bag of their Ananas Fringant (Perky Pineapple) flavored beef jerky. 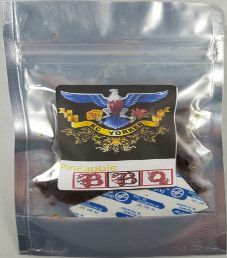 This flavor is described as combining the sweet flavor of pineapples with the kick of chili peppers for the perfect mix of sweet and spicy. 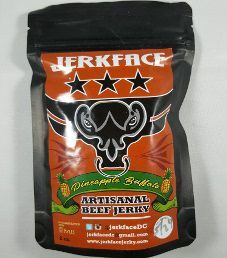 The jerky was kindly submitted for review by the owner, Alexander Halasz. 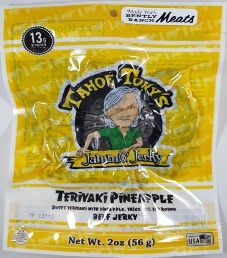 The next review on Indiana Craft Jerky will be on a 2.5 ounce/71 gram bag of their Pineapple BBQ beef jerky flavor. 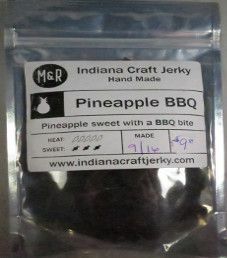 This jerky was kindly submitted for review by the president of Indiana Craft Jerky, Michelle Twaddell.